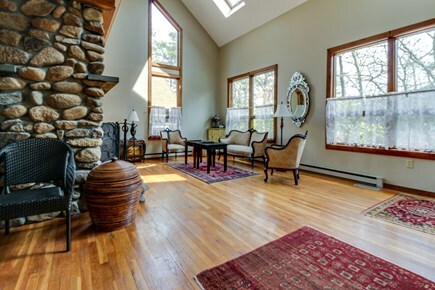 This cozy, warm,and inviting home will be the perfect escape. Take everything in by this two sided river rock fireplace. Gather around with family & friends to unwind after a long day. 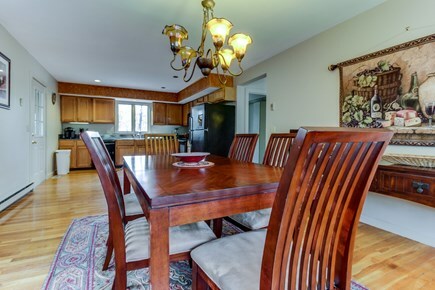 Share a home cooked meal with loved ones at this dining table. Unwind in front of the TV after a long day at the beach. Gather around for a home cooked meal. 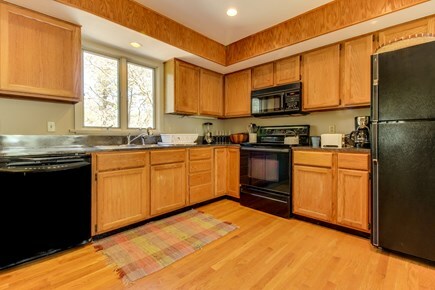 This kitchen is full equipped with everything you need. Spend time with loved ones in the living room. 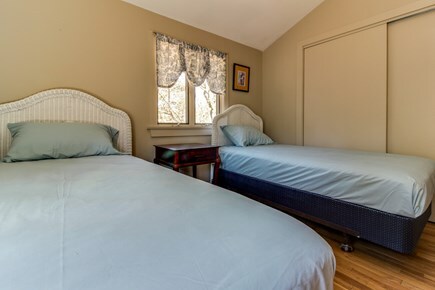 Relax after a fun filled day in this queen size bed. 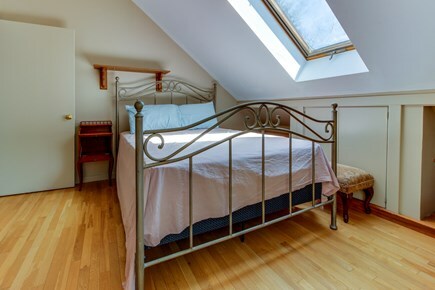 This second bedroom will give you the perfect night's rest. The kids will be ready to go after a nights sleep in these beds. There is room for everyone to get a good night's rest. 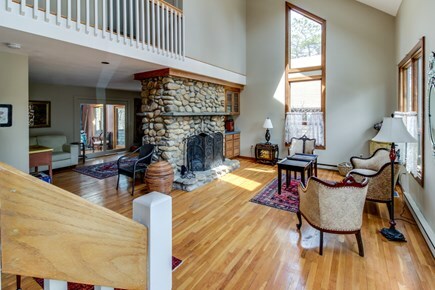 This multi level home will be the perfect getaway. 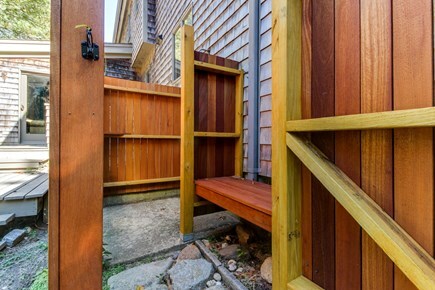 Rinse off after a day at the beach in the outdoor shower. 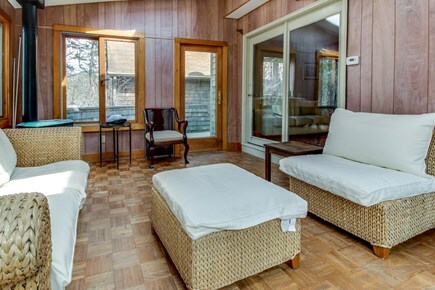 Tucked away among the shade trees on Martha's Vineyard, this delightful cabin in the woods is ideal for your next family vacation or getaway with a few close friends. This three-bedroom rental is located less than a mile from the top-ranked, semi-private Farm Neck Golf Club as well as the Trade Wind Fields Preserve, a 72-acre grassland habitat crisscrossed by hiking and biking trails. It's also just a couple miles from central Oak Bluffs where you'll find restaurants, coffee shops, galleries, and shops. 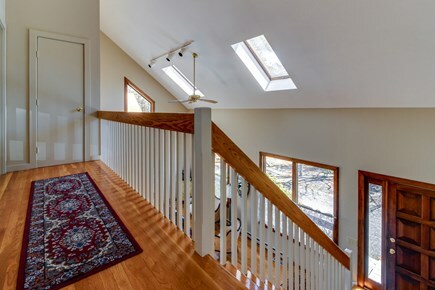 Cozy, warm, and inviting, this family-friendly house has hardwood floors, bright windows with forested views, and all the modern conveniences of home. 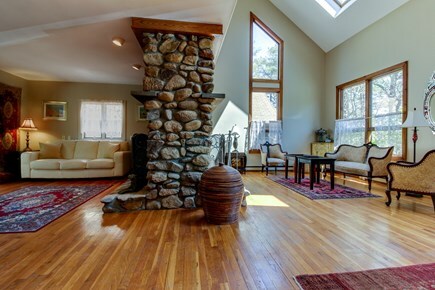 When the temperature drops outside, warm yourselves by the two-sided, river rock fireplace. Choose the front living room side with its high ceiling and elegant furnishings, or the casual, family room side with a comfortable leather sofa, matching love seat, and sliding door access out to the well-appointed sun room. Back inside, the dining room has a table with seating for eight alongside the well-equipped, full kitchen. The kitchen has plenty of cookware and dinnerware as well as a selection of essential appliances and labor-saving gadgets including a refrigerator, electric range, microwave oven, coffee maker, blender, toaster, and dishwasher. 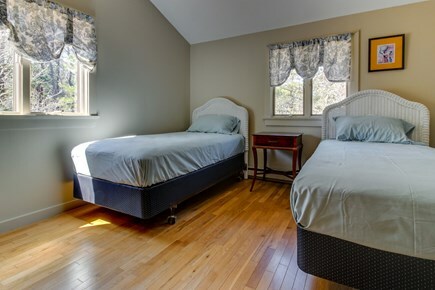 At the end of the day, retire to one of three bedrooms including two with queen beds and a third with side-by-side twins - ideal for the kids! 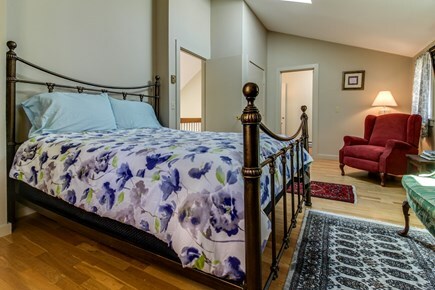 With three bedrooms and two bathrooms, this rental sleeps up to six guests very comfortably. Check your email and post updates to social media thanks to the provided WiFi. Catch the local news or watch your favorite shows and movies on two flatscreen, cable TVs. And start each day of your vacation with fresh, clean clothes thanks to the private washer/dryer located on the first floor. Take a three-and-a-half-mile drive north to the water's edge and visit the East Chop lighthouse located on Telegraph Hill. Head six miles east and check out the always fascinating exhibits at the Martha's Vineyard Museum in Edgartown. Or drive nine miles south and walk the pristine, soft sands at South Beach. 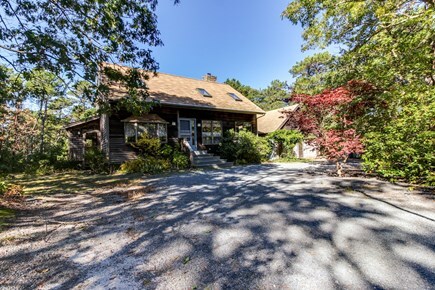 If you've ever dreamed of summering in Martha's Vineyard, reserve this wonderful home with us today and make that dream a reality! I was pleasantly surprised with the house. It was in a nice quiet neighborhood close to oak bluffs center. 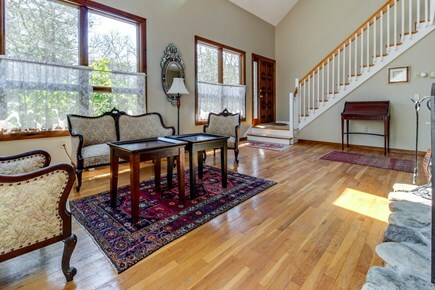 The house was beautiful with everything you will need to enjoy your vacation! This house is very cozy and quant. Happy we stayed there. The location of the house was perfect for our stay so we could ride our motorcycles and explore the island. The neighborhood was nice and quiet.